When you step onto the first tee of the East Course at Dalmahoy, you know you’re stepping onto a layout of great prestige. The resort, just seven miles from Edinburgh city centre, is one of the nation’s leading inland courses having held the Scottish Seniors Open and Solheim Cup. With spectacular views over the Pentland Hills, this par-73 course extends to more than 6,500 yards. It has quite a few slopes and presents golfers of all ability with a challenge. The fairways are wide and mostly forgiving - except for a few cunningly placed bunkers by Mr Braid - so you're able to open the shoulders and really go for it on most tees. The greens are large and receptive, meaning you should have a large target to aim at if you can keep the ball in play off the tee. This course will undoubtedly give you and your friends a great, challenging day out. The 17th is a spectacular hole but is named “Wee Recker” for a reason. The best advice we can give is to be brave and try to block out the five huge bunkers that surround the green. 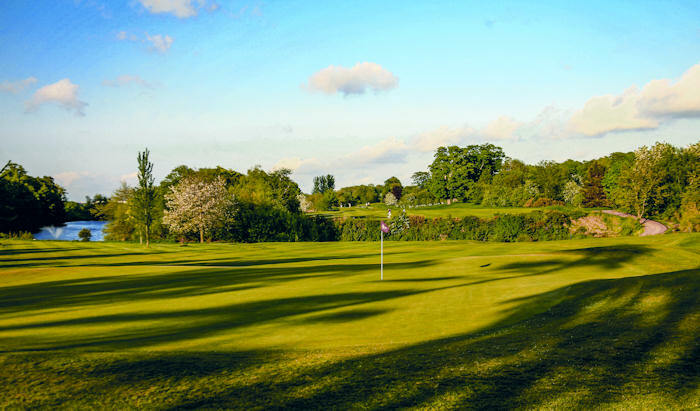 Book and play your golf within 7 days of booking and you can play this course for £10. Book and play more than 7 days in advance you will pay £10 and you must also book one of the mandatory packages below. £9.95 package including coffee and breakfast roll, bucket of range balls, small welcome gift.